REGISTER FOR THE 2019 - 2020 School year by clicking here for the application form. Spring Enrichment, Lunch Bunch and Summer camp Registration forms can be found by clicking here. Want to learn more about everything St. David's has to offer? Individual private tours may be scheduled at any time by phone or email. We look forward to meeting you! (847) 724-7841 or stdavidsns@sbcglobal.net. 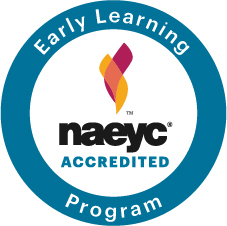 Our program is accredited by the NAEYC Accreditation of Early Learning Programs.